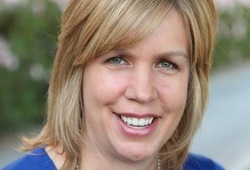 Andrea Sugden joined Adecco, a general staffing firm, in 2008. After presiding over the southern division for three years, Andrea Sugden has since moved on to the position of senior vice president of national accounts. Recruiting top-quality employees can be challenging in today’s competitive market. An effective staffing process begins with a detailed job description; using vague language or basing a job description around intangible qualities can lead to a number of unqualified individuals showing up to interview. This description should also be distributed in an efficient manner, beginning with industry-specific publications before gradually moving outward to common online and print resources for job openings. Some staffing companies will not only help conduct a search for an employee to meet a company’s standards, but can also help distribute the job description. As the open position begins to gain attention, employers should develop a few baseline questions that are simple enough to be asked over the phone, but revealing enough to further weed out unqualified applicants. After the candidate pool has reached the desired size, employers should establish their criteria for the ideal employee in order to guide expectations and desires during the interview process. Maybe for Adecco after everyone in the Minneapolis area receives automated spam calls to their cell phones about low paying positions.